Federal election observers will be in 35 communities in 19 states on Election Day to “monitor compliance with the federal voting rights laws." That leaves a lot of polling places open for potential voting shenanigans. That’s why Countable is deputizing you, the American public, to serve as citizen monitors. 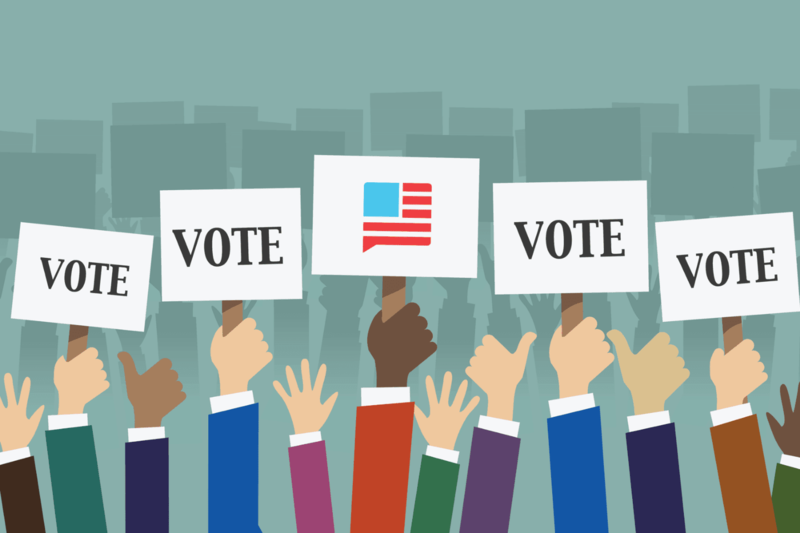 We created Countable because we believe in democracy and the democratic process, and we want to make sure everyone who has the right to vote casts their ballot on Tuesday. Polling places open at 6 or 7 a.m. and close at 7 or 8 p.m. in most states. Double-check here. If you can’t make it to your assigned location, you may be able to cast a provisional ballot (more on this below). Forgot to register? In 17 states and D.C., you can register on Election Day. Check if your state is one of the 17 here. Not all states require a photo ID to vote. To find out whether you need your ID, and what kind of ID you should pack, head to Countable’s Voter Center. Even if you don’t have a valid form of voter ID, your registration is pending, or you find you’ve been purged from the voting rolls, you are still allowed to cast a provisional ballot. Federal law requires that nearly every state must provide these “challenge ballots” or “affidavit ballots” to eligible voters. Some states may, instead, have you sign a sworn statement saying you meet your state’s voting requirements and allow you to cast a regular ballot. 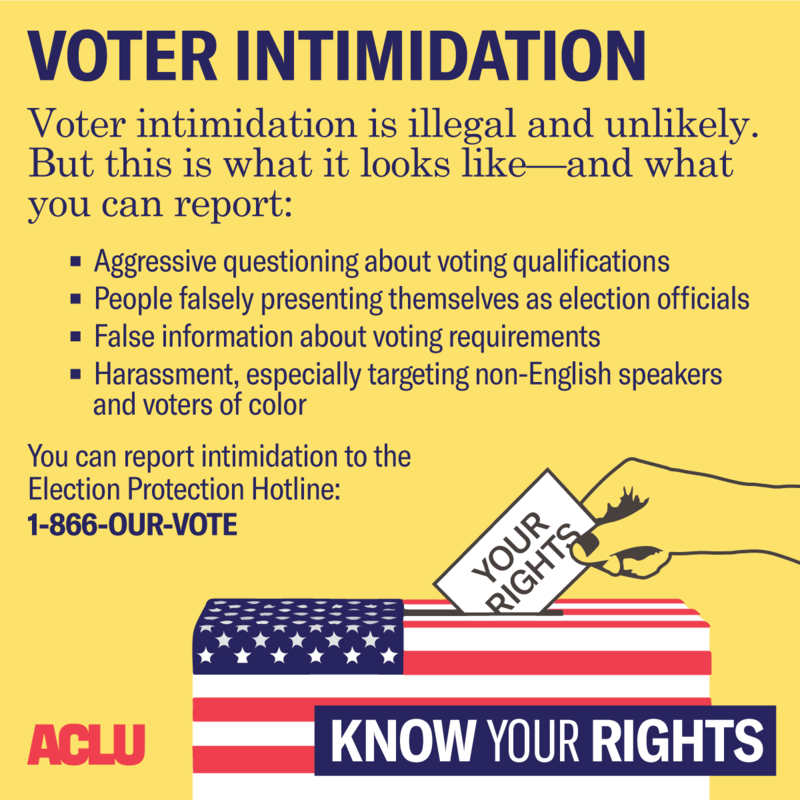 What Counts As Voter Intimidation? Aggressively questioning citizenship or voting qualifications. Individuals falsely claiming to be election officials. Spreading false information about voting requirements. Harassing would-be voters, especially non-English speakers and voters of color.